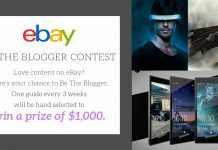 It’s already time for Round Three of our teaming up with eBay’s “Be the Blogger” contest, and we’ve had two very happy winners already. This round has flown by, so I’d suggest jumping on it quickly as there’s only one more round after this to win $1K! A couple people put it off and when I reminded them on Twitter that there was just a day left, they did the usual “Aww man, I thought I had more time,” spiel. Don’t fall into that and lose your shot. You’ve got two more left so sure they count. We’ll be announcing the winner of Round 2 shortly. Another great win on this contest as that we do an article on the winner so if it’s you, it’ll get our name and creative out there on Google News, Google Amp News, Bing News, Apple News and Facebook Instant Articles just to name a few places that syndicate all of our news articles. 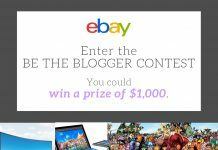 With a readership of one million monthly, that’s a lot of great exposure, not to mention that $1k prize you get. 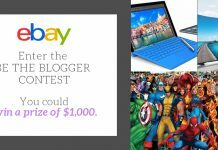 The theme for Round 3 of the ‘Be the Blogger’ eBay contest is all about being inspired by one of the guides that we’ve written for Movie TV Tech Geeks. Luckily for you readers, our tastes are all over the board so you’ll have quite a range to choose from. It could be our Father’s Day gift ideas, one of our many Top 10 movies guides or even wedding gift guides. We cover all topics that interest us so you can check them all out and see which one inspires you to come up with your own guide in that genre topic. This one gives you a lot of fun freedom. If you’ve submitted already and haven’t one, give it another go. Now, you know how easy the process is so give it another go as the next winner could be you. Each of our winners already have been very shocked as they thought what most people do. “It won’t happen to me, but I’ll just give it a shot anyway.” You never know. 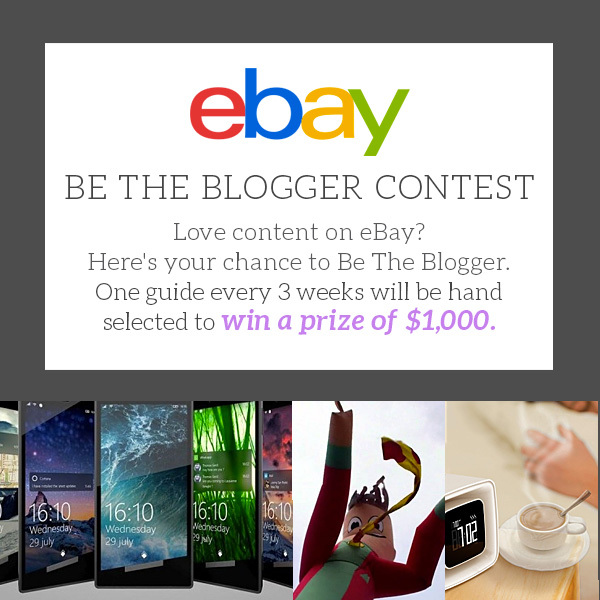 We’ve teamed up with eBay as our site is considered a rather large social media influencer (their words, not mine…although I like the sound of it) for this great contest, and they’ll be promoting the winners, so you’ll get the money and the recognition you so crave and deserve. So here’s what you do. There are a few steps involved, but we’ll take you by the hand and guide step by step to make it easy. Also, this is only open to residents of the United States, so if you live outside of the US, sadly you won’t be able to take part. 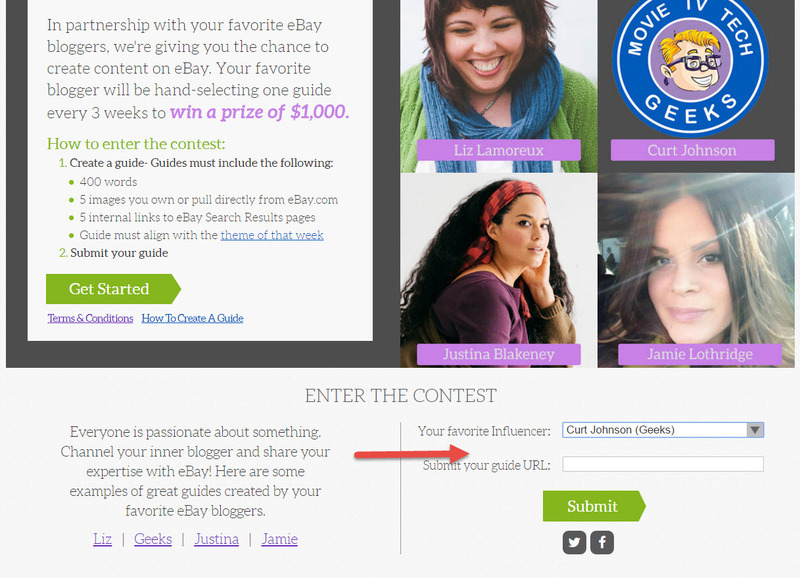 You can check out all the contest rules, terms and conditions here. Keep this page open or bookmarked so you can refer back to if you get confused as we’ll be sending you over to eBay’s site as you’ll be writing about how you express your passion over there. With round 1 a few people forgot this, so I highly recommend keeping this article bookmarked for that exact reason. Most of our contests are just 1 step, but this one has a few more so following this closely is highly recommended. I would advise keeping this landing page open as you’ll need to return to it to input the URL of the guide you create. 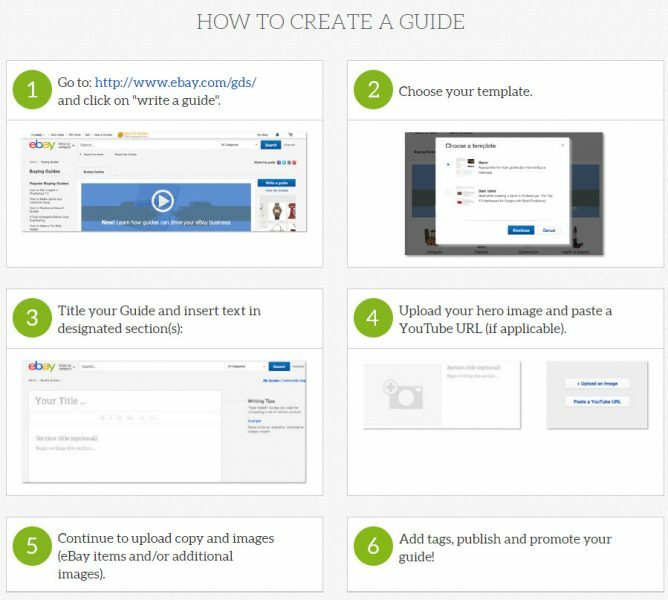 Next up are the steps you’ll need to do to create your “Inspire Us” guide as they call it. I know hearing the word ‘guide’ might sound intimidating to some, but just write check out our guides below and find one that inspires you to create your own guide in the same area. Just write about that and give your own fun spin on it.. Here’s some links to some of the ‘guides’ that we’ve done to give you an idea of how varied they can be. Luckily, eBay is more interesting in hearing the person’s writing voice rather than the usual blah blah blah typical boring blogger things. 4K Televisions: To buy or not to buy? As you can see, just like our site, our guides cover quite the range, but they’re interesting, funny, informative and definitely not boring. Check through them as they can show you that you can be fun and creative with your writing if you choose. Your guide needs to be a minimum of 400 words which is extremely easy. There’s no limit to how long it can be though so size is only an issue if it’s too short…like in life sometimes. You’ll need to use 5 images in the guide. Don’t worry if you don’t own one; you can just pull images from eBay itself and use those. They own them so you’re covered, plus it’s much easier doing it that way. This one may sound tricky, but you’ll just add 5 hyperlinks to your guide. 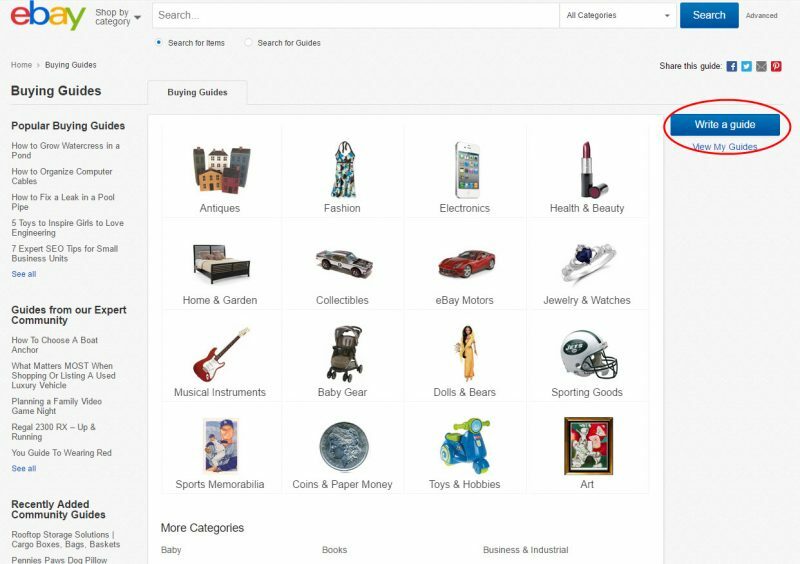 If you write about music, you can just do a quick search on eBay for ‘music’ or a specific artist and use that link in your guide. So if you mention the artist Kanye West (maybe you’re writing a tongue in cheek kind guide) you’d do a search for Kanye West on eBay and take that link and use it on his name. Simple. Just do that five times in your guide and that’s it. To me, that’s the hardest part of doing this which should let you know how simple this process is. So to get started, you’ll hit the ‘Get Started’ button as you can see in the image above which will take you to a Guide Page. You’ll just look at the upper right-hand side to where the blue button is that states ‘Write a guide’ and hit the button. Then you’ll be greeted with this image below. The first thing you’ll see is a ‘Choose a template.’ If you’re planning on writing something like a top 10 list guide or a list thing, choose the second template as it’s best for those. If you’re writing an article piece then you can go with the first template choice. Then you’ll have something similar to a Blogger type template where you imput your title, and then you can scroll down and see where you can add images (you can do right side images, left or dead center). It’s a pretty basic template and one nearly everyone has dealt with like on Tumblr, Blogger, Live Journal, etc. In step 4, where they state ‘hero image’ that’ll be the top image that really expresses your article. If you check out our examples above, you’ll see how we’ve done our top images to represent what the guide is about. eBay loves those. After you’ve finished writing, at the bottom will be the buttons for ‘Save Draft’ or ‘Publish.” When you hit those, there’ll be one of those annoying ‘Captchas’ to do. For some reason, we always have to do it twice. We enter the first Captcha and it always give an error that we entered the wrong one. So, don’t be surprised if that happens to you. Just click to get a new captcha and it’ll go through then. Once that is done, you’ll have a pop up to decide what category your guide fits so just click on that and then hit ‘Publish.’ It will take a minute or so and then another pop up will come asking if you want to see your guide. Definitely click to see it as you’ll need to get the URL for the final phase of submitting it to the contest. So we’ve tried to think of everything to guide you through the process so it’s real easy, but if you have any questions, fire away. You’ve never had it so easy to get that $1K! This is where you really want to pay attention so your guide goes to the right place. Otherwise, all that work will be for nothing. 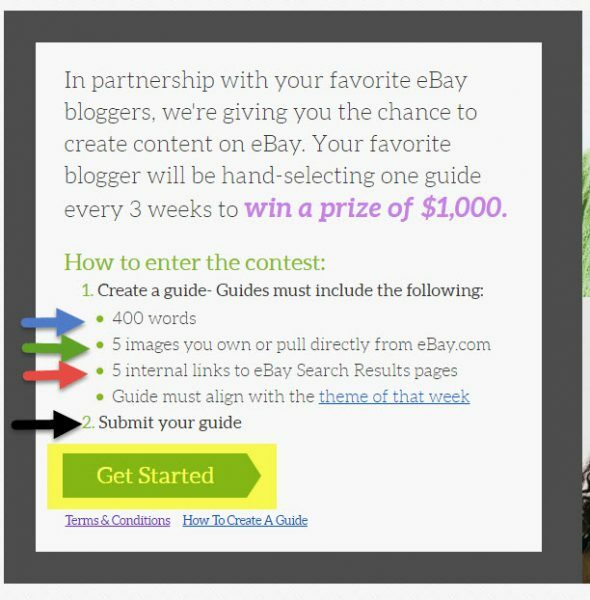 If you’ve left the original landing page, just go back here bit.ly/ebaymttgcontest. As you can see in the image above, you just need to hit the drop down box to make sure you have us listed as ‘Your Favorite Influencer.’ Now, that’s not just an ego move either. This is how eBay is able to make sure that all the submissions for you all get to us to judge in three weeks. Next step is to just grab the URL of the guide you just completed and published. You’ll put that URL in the box under ‘Your Favorite Influencer’ that states ‘Submit your guide URL’. That’s it. Now just sit back and find out if you’ve won on or around May 19, 2016. This second phase of the contest will run from June 2, 2016 through June 21, 2016 so get your Summer talk going. 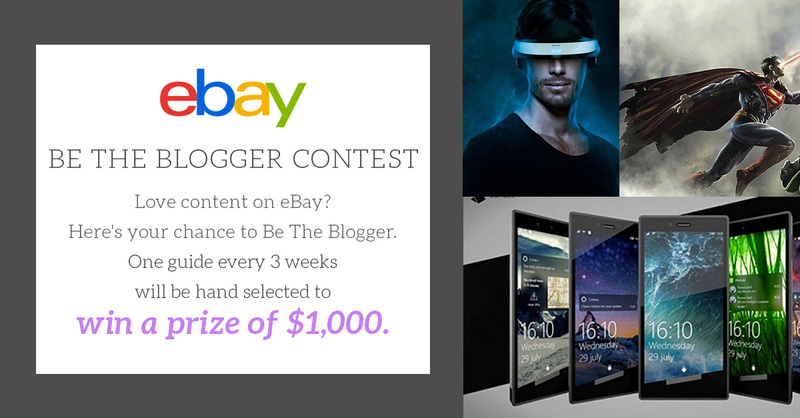 The next phase of the contest where you can get another shot at $1K will be June 22, 2016. Then there’ll be just one more chance after that as we’re giving away a total of $4K for some good writing. FYI, eBay is not saying this, but from where I’m sitting it looks like they may be looking for more influencers so you might wind up getting more than just $1K out of this. 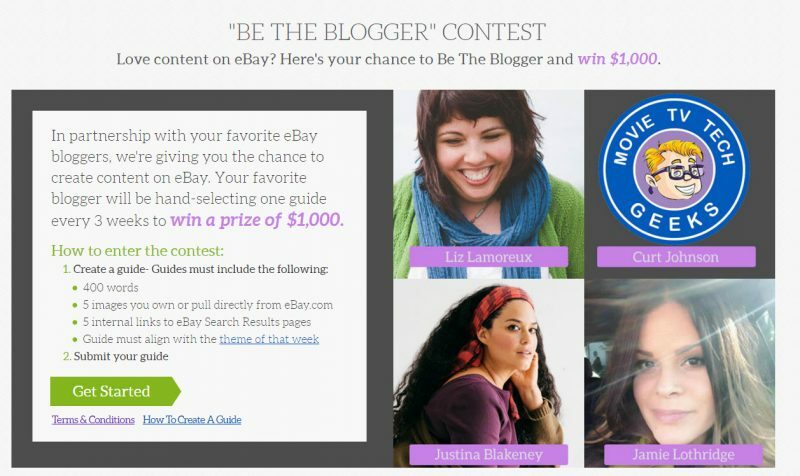 You could become the next eBay Social Influencer! Of course, they are not saying this, but it wouldn’t surprise me so that’s why I letting you know it definitely a worthy one to try out for. This latest round is a great one that gives you plenty of artistic and creative freedom so enjoy and make some money!